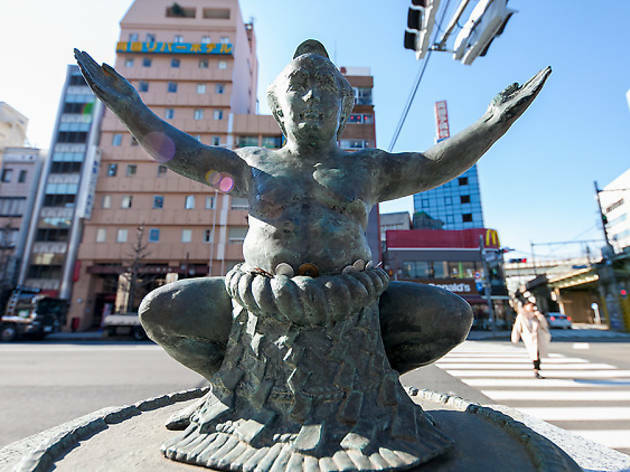 The best area to experience authentic sumo culture is Ryogoku, located east of Sumida River. You can still see relics of its glorious past while strolling in this vicinity, which flourished as an entertainment centre during the Edo period. 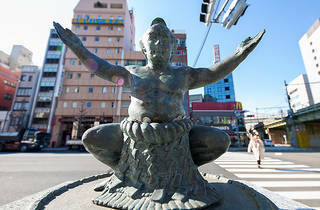 Don’t forget to stroll down Kokugikan Street, where a variety of posing rikishi (sumo wrestler) statues can be found along the sidewalk. It’s the perfect start to a sumo adventure and, if you’re lucky, some giant men in traditional garments might just walk alongside you. Direct access from JR Ryogoku Station’s West Exit (Chuo Sobu line).